As most who have looked for DIY hypertufa information online would readily agree, while there are many good tutorials that teach you how to make hypertufa pots, planters and troughs etc., a hypertufa birdbath making tutorial is a rarity. 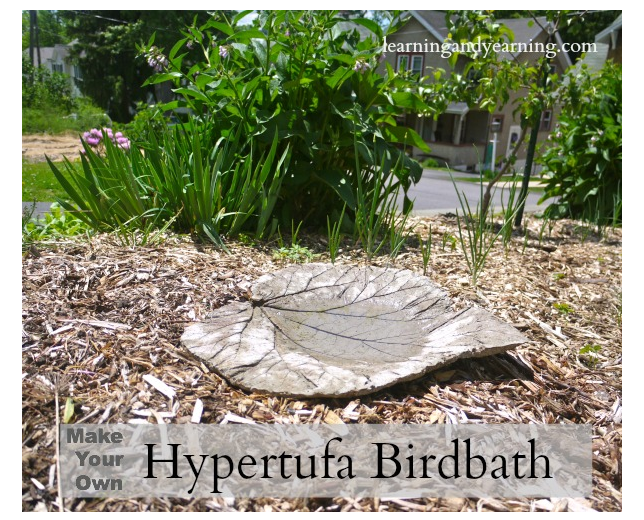 Susan Vinskofski, a master gardener from PA has published one such tutorial called ‘Make Your Own Hypertufa Birdbath’ where she has provided comprehensive information with many pictures using which you can build a leaf-shaped hypertufa birdbath. As a hypertufa garden art enthusiast, I’m sure you’ll find Susan’s article useful.